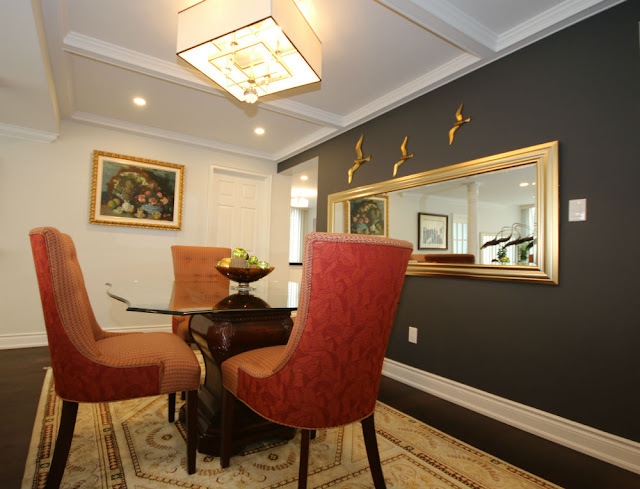 This recently completed condo project in Oakville included flattening a ceiling and producing custom waffle sections of millwork and crown moulding to produce a traditional look for this lovely condo renovation. The ceiling sections included dual potlights with a centre section for a contemporary chandelier. Hope you like the end results.